As part of a series previewing their new book, Communicating Your Research with Social Media, Amy Mollett, Cheryl Brumley, Chris Gilson and Sierra Williams give an overview of how NASA has risen to the challenge of communicating its findings, resources and achievements to the world through social media. Science communication has evolved into an essential part of the public outreach and education programmes of many scientific organisations. Where television documentaries and public exhibitions were once relied upon for these aims, social media platforms have now brought new opportunities for scientists and communicators to interact with their audiences. Scientists at NASA have been creating and sharing innovative photos and videos for educational purposes since the 1950s, and today they continue to innovate on photo- and video-driven social media platforms like Facebook and Instagram. NASA’s science communication has inspired us across the generations: from live international TV broadcasts of historic mission launches to using social media to allow students to interact directly with astronauts in the Space Station. Right from its inception, a core value of NASA was to communicate its activities and information to the world as widely as possible. The NASA Space Act of 1958 – its founding legislation – set out that NASA was to “provide for the widest practicable and appropriate dissemination of information concerning its activities and the results thereof”. Throughout NASA’s six decade history, photos and videos have been central to these communication efforts. The photos and video footage of NASA’s Apollo 11 – the space flight that landed humans on the moon – was the first instance that truly brought to life their aim of maximising public interest in space. Those now iconic images defined an era: the space race was over, and a new epoch was upon us. 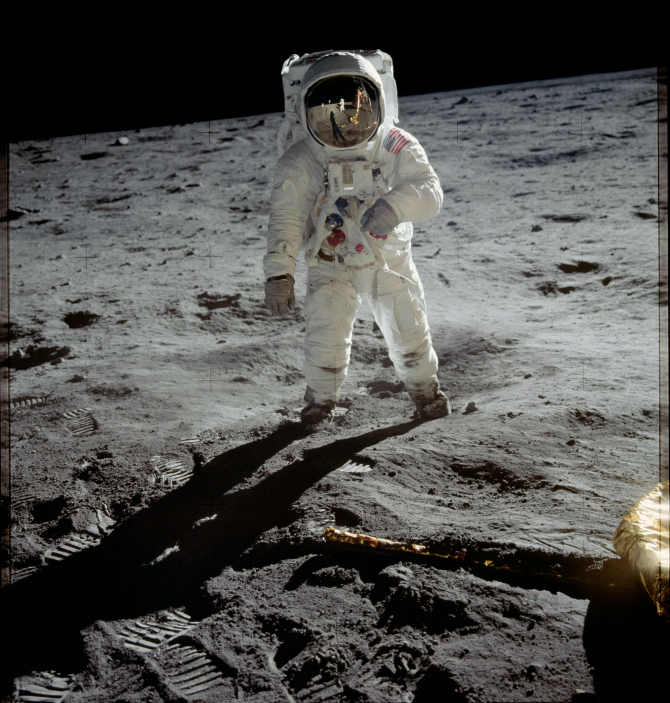 Astronaut Buzz Aldrin walks on the surface of the moon near the leg of the lunar module Eagle during the Apollo 11 mission. Image credit: NASA – Apollo 11 gallery. Just as the first mission to the moon heralded some of the most important photographs the world had ever seen, so too did the final moon mission. The Apollo 17 crew took a photograph that would go on to become one of the most reproduced photographs in human history. 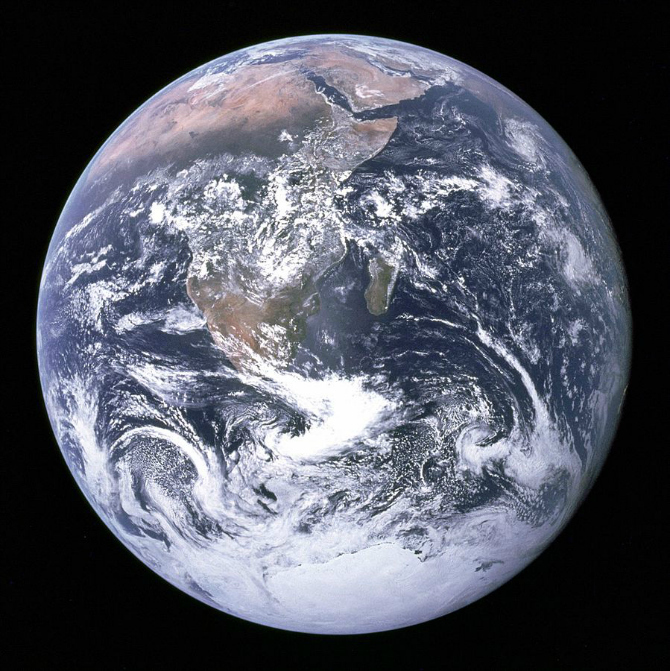 The first photograph of Earth as a fully illuminated whole, it was nicknamed the “Blue Marble” and was taken at a distance of about 45,000 km (28,000 miles) from Earth. Printed on the front page of nearly every newspaper in the world, its beauty and the stories it told captivated countless readers. Published – just like all of NASA’s images – in the public domain, it was embraced by green campaigners and peace activists. Image credit: The Blue Marble. Earth seen from Apollo 17 [public domain], via Wikimedia Commons. Today, NASA shares photos and videos through more than ten social media platforms in its educational and engagement efforts, including on Facebook, Flickr, Twitter, YouTube, and Instagram. In 2009, NASA astronauts sent the first tweet from space (sent by Mike Massimino – see below); in 2010, they did the first Foursquare check-in from space; in 2011, they were the first US Government Agency on Google+; and in 2012, they had the first Foursquare Check-in from Mars. As well as the official central NASA accounts, there are individual accounts for the International Space Station and scores of project accounts, meaning the whole NASA family is represented across hundreds of accounts. One of the reasons for NASA’s social media success is down to the fact that the stunning photos and videos of the Aurora Borealis, the International Space Station, and the sun rising over Earth they share are taken by the people who are experiencing those images first-hand: the astronauts. The fact that the astronauts taking these images are the only human beings able to do so allows us to experience the beauty and awe of space first-hand. NASA has proven time and again that their historic photos and videos are a stand out way of generating public and media interest in their activities. Their approach is a convincing example of how photos and videos can play a leading role in research communication and how social media can work as a prime conduit for these messages. 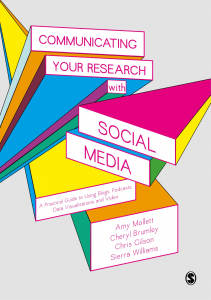 Chapter 6 of the authors’ book Communicating Your Research with Social Media examines the ways photos and video can help bring new audiences to your research and identifies the social media platforms that can help you go viral. If you’d like to purchase a copy of the book, SAGE offer a 20% discount to readers. Just enter the code is UKRM20 at the SAGE checkout.